If you are looking for a capable and weather-ready vehicle in Vienna for a great price, consider a pre-owned all-wheel drive SUV at Stohlman Volkswagen. Browse our inventory to find the used SUV that has everything you need, then contact us for a test drive! Be sure to explore our current pre-owned vehicle specials so you don’t miss out on a great deal in the Alexandria area. 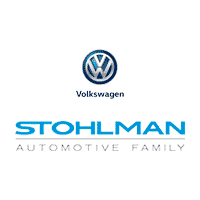 Whether you choose to buy used or new, you can take advantage of the excellent customer service at Stohlman Volkswagen.